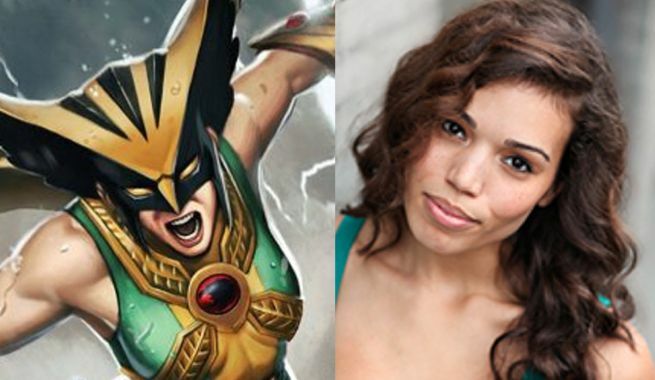 Ciara Renee, who is set to play Hawkgirl on the planned Arrow/The Flash spinoff, will appear on the season finale of The Flash, she told her Twitter followers today. The news comes on the heels of an official pickup for Legends of Tomorrow, the long-rumored spinoff that features Renee alongwith stars from Arrow, The Flash and some new faces. You can check out her tweet below. DC’s Legends of Tomorrow is a mashup of DC legends starring a team of The Flash and Arrow characters. Victor Garber (“The Flash”) Brandon Routh (“Arrow”), Caity Lotz (“Arrow”), Arthur Darvill, Ciarra Renee, Franz Drameh star, alongside Dominic Purcell (“The Flash”) and Wentworth Miller (“The Flash”). The series hails from Bonanza Productions, Berlanti Productions and Warner Bros. TV with Berlanti, Marc Guggenheim, Andrew Kreisberg and Sarah Schechter exec producing.